Ever Wondered How Much an iPod Costs Apple to Manufacture? Adding up the cost of all the parts that Apple is expected to use in the device suggests it will cost about $230 to build the 4GB version that will sell for $499 and about $265 to build the 8GB version that will sell for $599.The single most expensive part will be the 3.5-inch touch-sensitive display, which iSuppli says will cost $33.50, while the combined cost of the NAND-type flash memory chips—probably supplied by Samsung—will run $35 to $70, depending on the model. Today is Martin Luther King Day in the United States – a day that commemorates not only Dr. King’s birth but his ideals of peace, social justice and racial and class equality. This Alabama Pastor turned activist was the driving force behind the American Civil Rights Movement. Dr Martin Luther King, Jr. was the youngest man to be awarded the Nobel Peace Prize in 1964. A little explored side of Dr. King’s struggle was how another great leader from the east, Mohandas Karamchand Gandhi aka Mahatma Gandhi, had made an indelible impression on him. 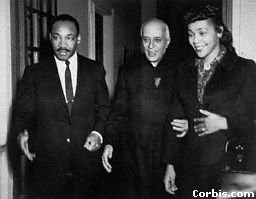 Dr. King and his wife Coretta Scott King went to India from February 2 through March 10, 1959 as guests of Prime Minister Nehru in efforts to study and learn more about Gandhi’s philosophy and techniques of nonviolence. In The Bystander: John F. Kennedy And the Struggle for Black Equality, Nick Bryant, explores this relationship further. “As I quickly discovered, many of the main heroes of the book – all spent formative portions of their careers in India. They were committed Indophiles – or more accurately, Gandhiphiles“, he states. He names Chester Bowles, the Deputy Secretary of State in the Kennedy administration, J K Galbraith, the cerebral Harvard economist who had long argued that America would never live up to its democratic ideal unless its system of racial apartheid was completely dismantled; then there was Harris Wofford, who toiled as Kennedy’s chief civil rights advisor and the authored a book called India Afire. On returning to America in the early 1950s, Mr Wofford discussed these ideas with a young preacher based in Montgomery, Alabama, the so-called ‘cradle of the Confederacy.’ His name was the Reverend Dr Martin Luther King, Jr. Dr King himself made the long journey to India in 1959, three years after the famed Montgomery Bus Boycott had made him a hero on the subcontinent. Dr. King drew parallels beween the righteousness of Gandhi’s cause to dismantle British rule and his own to dismantle segregation. Dr. King used the same tactic of mass civil disobedience which Gandhi had pioneered with the Dandi Salt March 33 years earlier. Perhaps the greatest untold gift by India to America might be that it gave inspiration to the American Civil Rights Movement. On Friday, Jan 12th, 2007 I attended a book reading at Books Inc by Vikram Chandra, a Bay Area author & UC Berkeley lecturer. Vikram was there to discuss his new epic novel “Sacred Games“. Sacred Games, is a 928 page turner about friendship, betreyal, love and violence, set in a magnificently complex city Mumbai that has as many hues and moods as the colorful characters that headline in the book. “Bombay, is as much a character in the book as Inspector Sartaj Singh or the underworld Don, Ganesh Gaitonde”, Vikram established at the beginning of his reading. Vikram draws a godfatheresque picture that is reminescent of 1940’s Chicago, but with an eastern Bollywood twist. The interesting thing about the characters the author draws on, is that they are incessantly indistinguishable, whether they be policemen on gang lords. The “thin khakhi line” that separates society from its perpetuators is at best hazy in mordern day Mumbai. This unnerving complexity makes Sacred Games an excellent read. 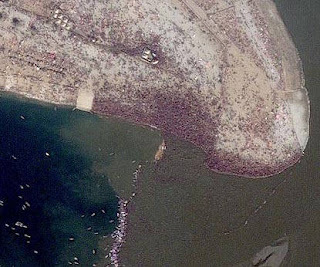 The largest human gathering ever has been photographed from space by a high resolution imaging satellite. 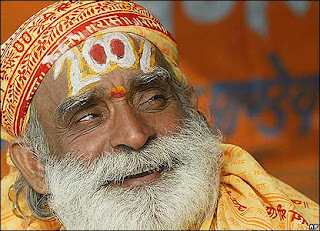 Over 70 million people are expected to attend a Hindu spiritual event in northern India called the Maha Kumbh Mela. The pilgrims gather at a sacred location on the Ganges River, 15 kilometres from Allahabad, for more than a month of bathing rituals. 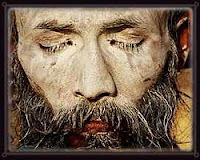 The activities are intended to wash away their sins and hasten the Hindu people’s progress toward nirvana. The one-metre resolution image was collected by Space Imaging’s IKONOS satellite, travelling at over 6 kilometres per second, 677 kilometres above the Earth. It shows red-robed bathers at the confluence of the Ganges, Yamuna and mythical Saraswati rivers. 45 BC – The Julian calendar first takes effect. 404 – The last known gladiator competition in Rome takes place. 1673 – Regular mail delivery begins between New York and Boston. 1772 – The first traveller’s cheques, which can be used in 90 European cities, go on sale in London for the first time. 1800 – The Dutch East India Company ceases to exist. 1801 – The legislative union of Kingdom of Great Britain and Kingdom of Ireland is completed to form the United Kingdom. 1877 – Queen Victoria of Britain is proclaimed Empress of India. 1887 – Queen Victoria is proclaimed Empress of India in Delhi. 1890 – First use of soccer goal nets in England. 1892 – Ellis Island opens to begin accepting immigrants to the United States. 1898 – New York City annexes land from surrounding counties, creating the City of Greater New York. The four initial boroughs, Manhattan, Brooklyn, Queens, and The Bronx, are joined on January 25 by Staten Island to create the modern city of five boroughs. 1901 – The British colonies of New South Wales, Queensland, Victoria, South Australia, Tasmania and Western Australia federate as the Commonwealth of Australia; Edmund Barton is appointed the first Prime Minister. 1902 – The first Rose Bowl game is played in Pasadena, California, with the University of Michigan beating Stanford University by a score of 49-0. 1908 – For the first time, a ball is dropped in New York City’s Times Square to signify the start of the New Year at midnight. 1925 – The American astronomer Edwin Hubble announces the discovery of galaxies outside the Milky Way. 1934 – Alcatraz Island becomes a U.S. federal prison. 1939 – The first Vienna New Year’s Concert is held. 1939 – William Hewlett and David Packard found Hewlett-Packard. 1942 – The Declaration by the United Nations is signed by twenty-six nations. 1946 – The first civil flight from Heathrow Airport occurs. 1949 – UN Cease-fire orders to operate in Kashmir from one minute before midnight. War between India and Pakistan stops accordingly. 1958 – The European Community is established. 1959 – Fulgencio Batista, president of Cuba, is overthrown by Fidel Castro’s forces during the Cuban Revolution. 1965 – The People’s Democratic Party of Afghanistan was founded in Kabul. 1979 – Formal diplomatic relations are established between the People’s Republic of China and the United States of America. 1985 – The Internet’s Domain Name System is created. 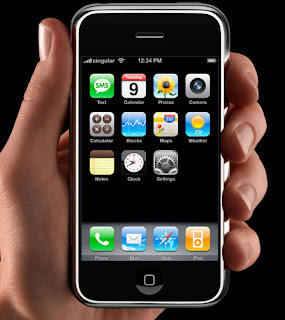 1985 – The first British mobile phone call is made by Ernie Wise to Vodafone. 1989 – The Montreal Protocol on Substances That Deplete the Ozone Layer comes into force. 1994 – The North American Free Trade Agreement comes into effect. 1995 – The World Trade Organization comes into effect. 1997 – Ghanaian diplomat Kofi Annan assumes as Secretary General of the United Nations. 2000 – As the world celebrates, no major crisis arises from the dreaded Y2K computer ‘millennium bug’. 2002 – Euro banknotes and coins become legal tender in twelve of the European Union’s member states. A more detailed account on Wikipedia can be found at this link.